Scrutiny of the company’s alleged role in genocide in Myanmar has raised broader questions about social media in Southeast Asia. Facebook and its founder, chief executive Mark Zuckerberg, have finally acted against the generals in Myanmar, pulling down pages used to inflame violence against the Rohingya dating back five years when a genocide was in the making. The fact that it took significant scrutiny and criticism, including an article by the New York Times, to lead to a stronger response, speaks volumes about Zuckerberg and his online operations, which, along with other social media platforms, have been hijacked by a whole range of actors for their own ends. But it also raises broader questions about such platforms and how they operate, including in Southeast Asia. To be clear, Facebook by and large has done a great deal of good in pushing the boundaries of free speech, providing a voice for those who never had one, and opening up access to information to the most remote areas of the planet. The issue here is whether the new evidence about the way Facebook is being used and the changes in the environment it is operating in warrant changes in its practices as a company — and if so, to what extent. The concerns are wide-ranging, and they do not all necessarily point to a black-and-white picture of culpability of these social media firms. In some cases, there has been scrutiny over leaders using Facebook via questionable means to advance their legitimacy. Back in February, Sam Rainsy, the exiled former leader of the Cambodian opposition, launched a lawsuit against Facebook demanding information about whether Prime Minister Hun Sen had purchased millions of likes. In still other cases, criminals and other nefarious actors have taken advantage of digital technology to boost their capabilities. Just as an example, a baby trafficking racket was recently busted in Indonesia, where brokers successfully used the social media app Instagram to advertise their human cargo and then the encrypted app WhatsApp to communicate when making sales. Both apps are owned by Facebook. There are a whole range of other crimes as well, including money laundering, illegal online gambling, and file sharing in breach of copyright, which are harder to police. 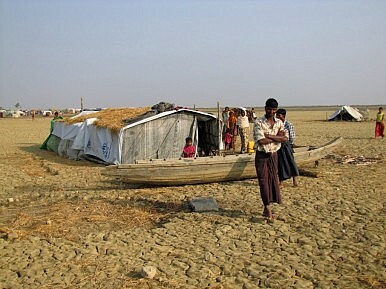 The Myanmar case stands out both because of the extent of misuse and the magnitude of the effects it caused. As the New York Times and other accounts have shown, what some have called a genocide against the Rohingya was bolstered partly by the spread of fake news to 18 million internet users by around 700 military personnel, hidden behind fake names and sham accounts. As noted elsewhere, Facebook has admitted it was too slow to act against the generals, who were using its platform to spread misinformation and hate. Facebook has said it will look to make it more difficult for people to manipulate its platform, and that investigations will continue on the matter. But the bigger questions lie further ahead for Facebook as well as other social media platforms. One key question in this respect is to what extent they will function as publishers rather than just operators – having stricter guidelines and a code of sorts to make sure there is a better filter for content as well as a clear understanding of how the platform can or cannot be used. In Southeast Asia, politicians and generals in Myanmar and Cambodia have taken full advantage of Facebook’s reluctance to enforce a code of honesty, fairness, and a standard that reflects common sense and some kind of community value. But the pace at which companies are adjusting on this score is slow. Simply relying on users to flag inappropriate content, along with algorithms and artificial intelligence, is not enough. Nor can that system be easily accountable for the 40 different languages that are used. That would probably require a more extensive system, including the employment of a large network of editors. Resolving these issues is far from easy and should not merely descend into a blame game. But for Facebook and other social media companies more generally, the Myanmar case clearly reinforces the urgency of doing so for all parties involved. As the protests continue, our correspondent draws a mixed bag of lessons. Smarter Diplomacy: Doubling Down on People-to-PeopleAssessing Taiwan’s New Southbound PolicyIndonesia’s Election Is Over But Identity Politics Will LingerWhy the US Needs to Revisit Its Negotiating Approach to North Korea—And SoonThe US Is Pushing Back Against China. What Happens If We Succeed?